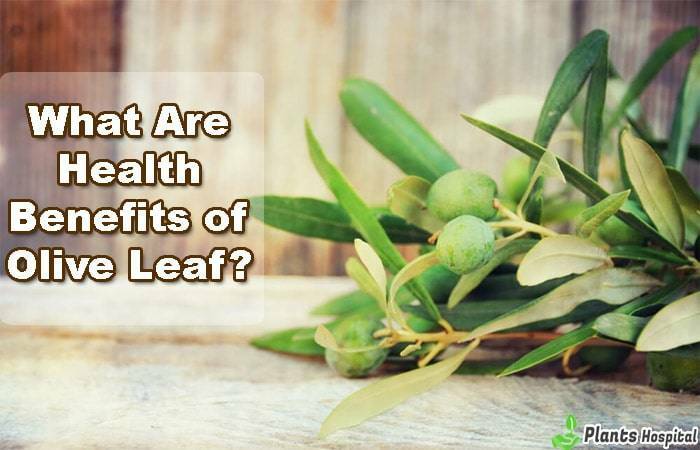 What are Benefits of Olive Leaf? Olive Leaf was first used medically in ancient Egypt and became a symbol of heaven’s power. The leaf of olive tree called Olea europaea has been used as a nutrient. They have antioxidant, antihypertensive, antiatermogenic, antiinflammatory, hypocolesterolemic and hypoglycemic properties and contain many bioactive compounds similar to olive oil benefits. Further study proves that olive leaf is a powerful medical supplement. Oleuropein, one of main compounds, has been attracting attention since 1900s due to antiviral, antibacterial and antifungal properties. Studies have found that oleuropein, a polyphenol, is a potent antioxidant that naturally lowers blood pressure and prevents cardiovascular disease. Turkey, Italy, Spain, France, Lebanon and commonly consumed in countries such as Greece and because of recent scientific studies proving health benefits of olive leaf becoming more known. In a 2011 study, efficacy of leaf extract was evaluated in comparison to Captopril, a drug given to patients with hypertension or high blood pressure. The five hundred milligrams olive leaf extract taken twice daily for eight weeks significantly reduced systolic and diastolic blood pressure. Although both can prevent high blood pressure, olive leaf has caused a decrea se in triglyceride levels (reduction of bad cholesterol). There are also a number of possible side effects of using Captopril, including dizziness, loss of taste and dry cough. It has been used as an herbal tonic to support cardiovascular function for thousands of years. The extract has been shown to help to reduce high LDL cholesterol levels and maintain normal blood pressure. Oleuropein, main glycoside present in olive leaf and hydroxytyrosol, main product of oleuropein found in olive and olive leaves, are linked to reduction of both coronary heart disease and certain cancers. A study at School of Biomedical Sciences in Australia examined mice fed on a high-fat and high-carbohydrate diet for 16 weeks. Untreated rats have developed signs of increased abdominal and hepatic fat accumulation, collagen accumulation in heart and liver, heart stiffness and oxidative stress. Rats treated with olive leaf extract had improved or normalized cardiovascular, hepatic (hepatic function) and metabolic markers. This study suggests that it reverses inflammation causing cardiovascular stress and chronic disease. A study in Greece measured effects of advanced glycosylation products (known as age), one of substances that may be a factor in development of diabetes and many other chronic diseases. Inhibiting age formation is a protective and therapeutic goal for patients with diabetes, and a 2013 study found that olive leaf extract works as a natural treatment for diabetes. 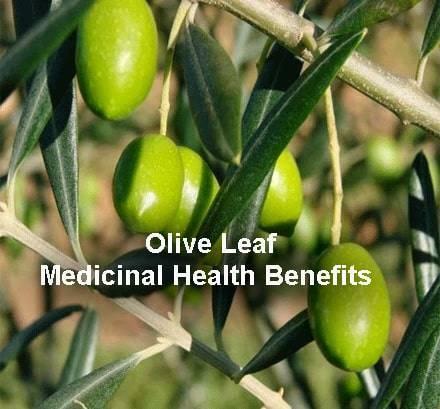 Olive leaf has hyperglycemic effects, which lowers blood sugar levels in body. It also controls blood glucose levels in body. Polyphenols in play an important role in delaying sugar production. A study has shown that after consuming starch, volunteers suppress rise in blood sugar. Olive leaf can be a natural cancer treatment because of role in stopping angiogenic process and reducing in growth of tumors. A 2009 study in Greece showed that has a strong antioxidant potential and inhibits cancer and endothelial cell reproduction. Breast cancer has slowed growth of cells associated with bladder cancer and brain cancer. It has positive effects on brain function. Studies have shown that oleuropein, one of major constituents of olive leaf, reduces symptoms or formation of age-related disorders such as dementia and Alzheimer’s disease. The research proves that there is a link between free radicals and Alzheimer’s. Olive leaf is an antioxidant, fights damage caused by free radicals and protects brain from memory loss. It is a safe and effective way to treat naturally Alzheimer’s disease. Arthritis is a disease that causes swelling and pain in joints. The key thing here is inflammation. In a 2012 study, it was found that arthritis significantly reduced swelling of claws in rats. This is because they can reduce inflammation in joints. Osteoarthritis is most common type of arthritis affecting more than 33 million adults. Studies have shown that reduces chronic pain associated with osteoarthritis. It has ability to fight infections including candida, meningitis, pneumonia, chronic fatigue, hepatitis B, malaria, gonorrhea, zona and tuberculosis. It also treats ear infections, tooth and urinary tract infections. A 2003 study showed that has antimicrobial effect against bacteria and fungi. The study killed all tested bacteria, including dermatophytes (causing infections on skin, hair and nails), candida albicans (oral and genital infection) and Escherichia coli cells (bacteria in lower intestine). It has antiviral properties, meaning has ability to treating colds. Research has shown that it is effectively fighting against a range of diseases, including some viruses that cause influenza and other respiratory infections. 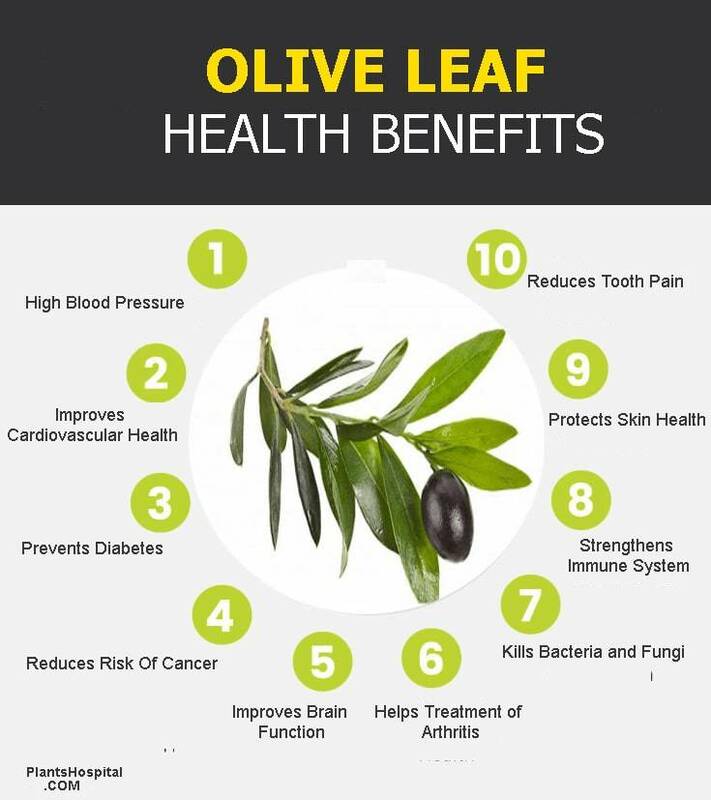 Powerful compounds in olive leaf destroy invading organisms and do not allow viruses to multiply and cause infection In fact, olive leaf is so beneficial to our health that in a study at New York University Medical School, it reversed many changes related to HIV-1 infection. It has power to reverse damage to your skin. It helps prevent certain types of cell damage caused by oxidation, especially because of antioxidant properties of olive leaf. Foods and herbs that contain antioxidants are excellent tools for health of your skin and cells. In Japan, Department of Biochemical Pharmacology found that olive leaf extract reduced symptoms of skin damage when given to mice with UV radiation damage. It also inhibited skin carcinogenesis and tumor growth. 14 Proven Health Benefits & Uses of Cucumber: Try It Now ! 11 Best Health Benefits Of Garden Cress - What is Garden Cress Seeds?